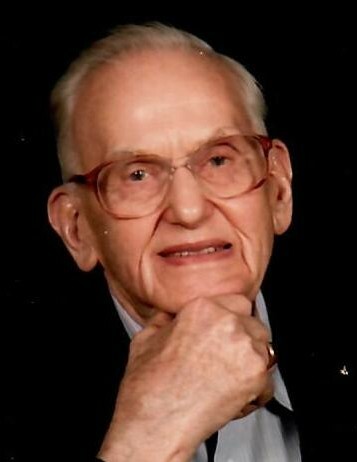 Alvin Manford Anderson, 91, of Knox, passed away Monday evening, March 25, 2019 at the Clarion Hospital. Born on May 23, 1927 in Lanes Mills, he was the son of the late Fred and Ellen Anderson. Alvin was first married to Gwendolyn Davis on May 1, 1954, and she preceded him in death on August 14, 2008. He then married Freda M. Gruber on November 14, 2009, who survives. Alvin worked as an electrician for Joy Technologies. He was a former member of the Salem Lutheran Church and attended Lighthouse of Praise in Fertigs, PA. He is survived by his wife: Freda Anderson of Knox; his two sons: David G. Anderson (Elaine) of Emlenton and Douglas F. Anderson (Cheryl) of Cochranton; four grandchildren: Jessica, Jaimee, James F., and Eric D.; three great grandchildren: Daniel, Michael “Mack”, and Gwendolyn; two step-children: Marilyn DeDianisio of Erie and Lisa Brown (Glenn) of Texas; five step-grandchildren: Kyle, Adam, Lauren, Alexandria, and Mia; and his sister: Marilyn Martini of Treasure Lake. Alvin was preceded in death by his parents; his first wife: Gwendolyn; his brothers: Frederick and Wilford; a sister: Aileen Burt; and a brother-in-law: Jack Martini. Family and friends will be received from 10 a.m. to 12 p.m. on Friday, March 29, 2019 at the William N. Rupert Mortuary Inc., 430 Mendenhall Ave, Knox, PA 16232. Funeral services will follow at 12 p.m. in the Funeral Home with Rev. Ron Roudybush, presiding. Interment will be held in the Salem Lutheran Cemetery. Memorial contributions can be made to a charity of one’s choice.